As we approach this year’s Passover Seder, I’m writing to wish you all a happy holiday and to explain why your support — ongoing or first-time — is so important for Americans for Peace Now and Shalom Achshav. As a veteran of Israel’s strategic security establishment who currently, in semi-retirement, writes (compulsively! almost daily! weekly in my Q & A for APN!) about Israel-related security issues, I hope you will permit me in this connection a brief Pesach reminiscence. Lately, my own research and writing efforts have taken me back to the events of Passover 2002. On March 27, Erev Pesach, a Hamas suicide bomber attacked several hundred people gathered for a Seder at the Park Hotel, near the beach in Netanya in central Israel. He killed 30 Israelis and maimed some 160 others. It was the worst single terrorist attack in Israel’s history. And because it was aimed at the Jewish people’s ancient celebration of national liberation, it was particularly traumatic. 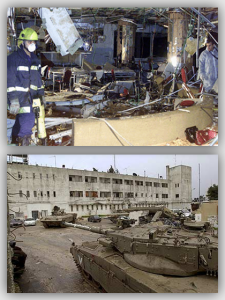 Coming at the end of a month of second intifada suicide bombings, that Pesach attack triggered, two days later, a major IDF operation. “Defensive Shield” witnessed the return of Israeli soldiers to every corner of the West Bank, including the most hostile refugee camps, for the first time since the Oslo peace process began in 1993. To this day, when deemed necessary, the IDF regularly permits itself to enter autonomous Palestinian cities like Ramallah and Bethlehem, usually in the dead of night, in pursuit of terrorists. Palestinian autonomy under Oslo was supposed to lead to an agreed two-state final status. That Pesach eve, 2002, it suffered a setback it has never recovered from. Yet the vagaries of history dictated that the day after the Hamas atrocity, on March 28, 2002, the Arab League, meeting in Beirut, approved the Arab Peace Initiative, an imperfect but nevertheless highly significant gesture by the Arab world toward ending the entire Arab-Israel conflict. To this day, the API remains on the table, never accepted by an Israeli government because of its problematic demands regarding borders and particularly refugees, yet never rescinded by the Arab League. 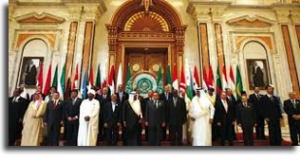 In fact, it has been repeatedly reaffirmed by the Arab League. These dramatic events of Passover 2002 still offer much food for thought. 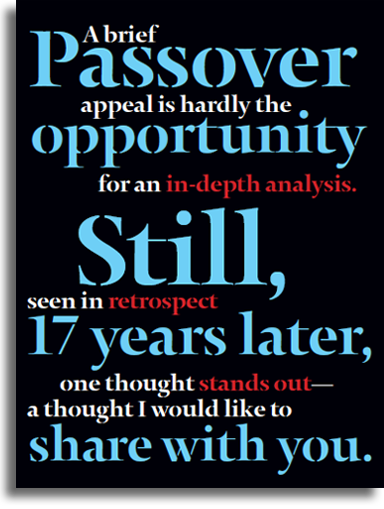 A brief Passover appeal is hardly the opportunity for an in-depth analysis. 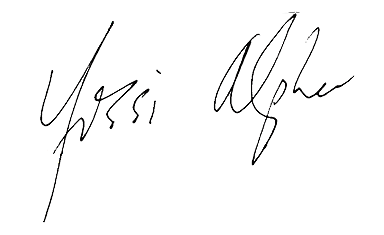 Still, seen in retrospect 17 years later, one thought stands out--a thought I would like to share with you. 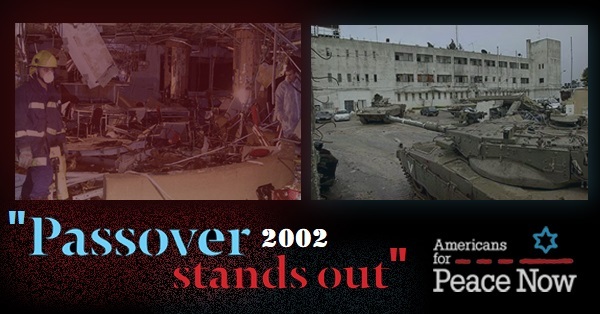 In many ways, the Park Hotel bombing of 2002 and the subsequent IDF operation froze the Oslo process that was intended to lead to an Israeli-Palestinian two-state solution. In parallel, the Arab Peace Initiative, seen in retrospect, appears to represent a degree of Arab state acquiescence with a kind of limbo—neither war nor peace, here and there grudging “cold peace”—that has largely replaced the notion of a “peace process.” With the exception of Israel’s controversial and unilateral withdrawal from the Gaza Strip in 2005, no progress whatsoever has been registered ever since. The Israeli ultra-nationalist right-religious camp, now the political mainstream, seems content with this reality and pushes to legally formalize a de facto bi-national state reality. Day by day, creeping annexation of the West Bank—its territory and its Arab population of millions—continues. The Arab states, despairing of Palestinian political unity and themselves beset in recent years by violence and fragmentation, acquiesce because they need Israel’s help in countering Iran. Besides, if Israel wants to commit national suicide by becoming a binational entity rather than a democratic Zionist homeland, well, let it. The way it’s going, it will eventually be an Arab state with a Jewish minority and can join the Arab League. A significant portion of the Israeli public, largely freed in recent years of fear of suicide bombers thanks to the extraordinary efficiency of Israel’s security services and to their cooperation with the Palestinian Authority’s security apparatus, appears to be oblivious of what awaits us— indeed, what is already happening before our eyes. This increasingly apartheid-like reality can only end up in international isolation and domestic violence. 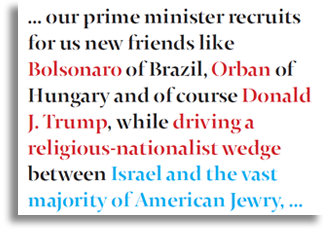 That our prime minister recruits for us new friends like Bolsonaro of Brazil, Orban of Hungary and of course Donald J. Trump, while driving a religious-nationalist wedge between Israel and the vast majority of American Jewry, merely underlines the point. This is why, now more than ever, we need Shalom Achshav in Israel and Americans for Peace Now in the US. Who else will document the spread of annexationist settlements? Who else will explain the issues, simultaneously, to Israelis and to you in the US? 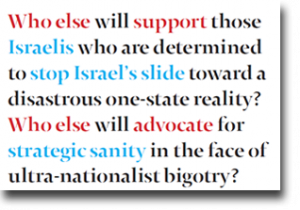 Who else will support those Israelis who are determined to stop Israel’s slide toward a disastrous one-state reality? Who else will advocate for strategic sanity in the face of ultra-nationalist bigotry? In Israel’s recent election campaign, all these issues were shunted to the back burner by most parties. 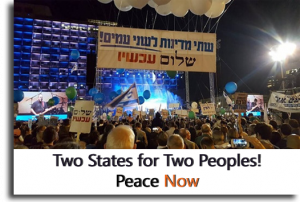 Only Shalom Achshav and a few others placed them front and center and spoke honestly about the core choices Israel really faces. Shalom Achshav and APN do that year-round, year after year, relentlessly and unapologetically. They know what the core issues are for Israel’s future. Please help APN and Peace Now address these issues. It’s vital and not too late. 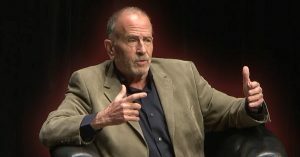 Yossi Alpher is an Israeli Security expert. He writes Hard Questions, Tough Answers, a weekly Q&A for APN. Alpher served in the IDF as an Intelligence officer, followed by years in the Mossad. He was associated with the Jaffee Center for Strategic Studies (JCSS) at Tel Aviv University, ultimately serving as Director. He co-founded and co-administered bitterlemons.net, a Palestinian-Israeli and Arab-Israeli dialogue site. In 2015, Yossi Alpher published Periphery: Israel’s Search for Middle East Allies. In his current book, No End of Conflict, Alpher explains how Israel got into its present situation of growing isolation, political stalemate, and gathering political stagnation.